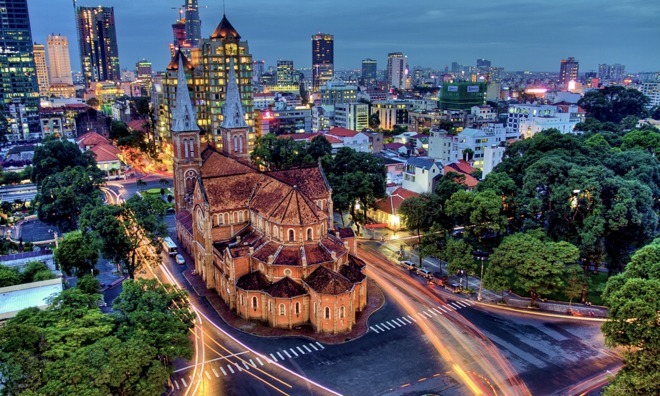 Apple Vietnam Limited Liability was established in Ho Chi Minh City on Oct. 28, according to an announcement seen by Reuters on the country's business registry website. The firm began with capital of 15 billion dong, or about $672,194. In addition to selling electronics such as the iPhone, the company will be providing information technology, maintenance, and advising services. Even though Apple has focused much of its recent attention on China, which saw revenues jump 99 percent year-over-year in the last quarter, Reuters noted that Vietnam has actually been one of the company's strongest performers relative to its size. Sales tripled there in the first half of 2014. The country's cellphone market has meanwhile grown rapidly in recent years, jumping 26 percent between 2009 and 2013 to 124 million subscribers. By 2013, the number of Internet users had also topped a third of the country's population.